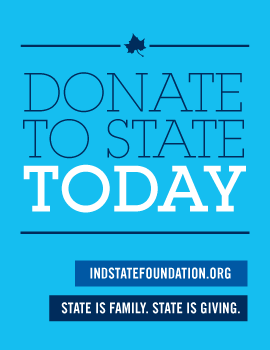 The Free Application for Federal Student Aid (FAFSA) is the application for most types of financial aid at Indiana State University. File the FAFSA between October 1st and April 15th to be considered for all possible funding. Send the FAFSA to ISU by listing our school code—001807. Individuals will use prior prior federal tax return information on the FAFSA(see chart below). Once the FAFSA has been filed, corrections can be made if necessary. Students are notified of award eligibility via the MyISU Portal. Aid is typically applied to school accounts about ten days before a term begins. Late paperwork submission or late FAFSA filing can cause delays in processing. Check the MyISU Portal to verify that all requested documents have been submitted. Step 1: Create an FSA ID. The FSA ID ― a username and password. Your FSA ID confirms your identity when you access your financial aid information and electronically sign Federal Student Aid documents. You will need an FSA ID to electronically sign and submit your FAFSA, as well as to make any needed corrections later. And if you are a dependent student, your parent will need his or her own FSA ID, too. Do not allow someone to create your FSA ID for you, and you should not create one for someone else. Not even for a family member. This can cause problems with your financial aid down the road. Visit this page for detailed instructions. Step 2: Complete your FAFSA. Edit/correction deadline (Outstanding application issues, such as missing signature or tax filing status, must be addressed to guarantee funding). What year Tax information or Income is required? Can I choose to report current tax information if my family's financial situation has changed since our required taxes were filed? You must report the information the FAFSA asks for. If your family's income has changed substantially since the required tax year, talk to the Financial Aid Office about your family's situation. NOTE: The FAFSA asks for marital status as of the day you fill it out. So if you're married now but weren't in required tax year (and therefore didn't file taxes as married), you'll need to add your spouse's income to your FAFSA. Similarly, if you filed the required taxes as married but you're no longer married when you fill out the FAFSA, you'll need to subtract your spouse's income. Incoming students will receive communication regarding aid eligibility beginning early winter. Returning and Transfer students will be notified of eligibility issues, such as missing items; beginning in early spring. Where can I get more information about-and help with- the FAFSA? Visit www.StudentAid.gov/fafsa and remember, as you fill out your FAFSA at www.fafsa.gov you can refer to help text for every question and (during certain times of day) chat online with a customer service representative. 1-800-4-FEDAID is available 24 hours a day. Date of Birth – MM/DD/YYYY format please! Missing FAFSA signature - Both the student and a parent (for dependent students) must sign the FAFSA using their individual FSA ID. REMEMBER: the FSA ID is tied to a unique email address. Be sure to use the email you have access to.